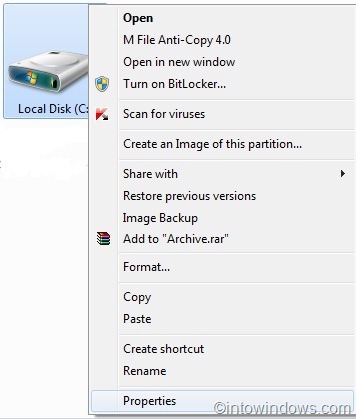 One of our readers recently sent an email asking how to delete the Windows.old folder located in the system drive. As some of you know, the Windows.old folder is generated after performing custom Windows 7 installation (without formatting the existing installation) or when you upgrade from a previous version of Windows to Windows 7. In other words, if you install Windows 7 on a Windows Vista or XP drive or if you have upgraded from Vista to Windows 7, Windows setup creates Windows.old folder in the root of Windows 7 installation drive. The Windows.old folder contains folders and files that were used in the earlier version of Microsoft Windows that was installed. This Windows.old folder is very useful when you want retrieve some files like documents and pictures from your old Windows installation. Additionally, this folder comes in handy if you like to revert to the earlier version of Windows from your current version of Windows. Related: How to delete Windows.old folder in Windows 10. 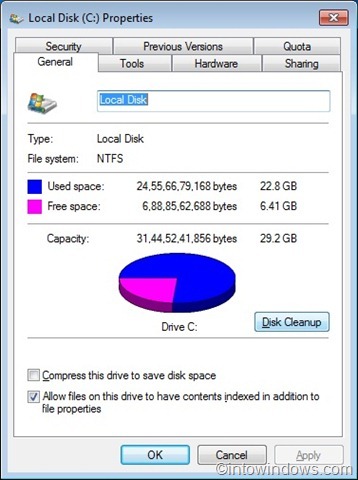 If you have no important files in Windows.old folder, you can delete it to retrieve the disk space. But the problem is that Windows doesn’t let you delete the folder by simply pressing the Delete key.You need to take the help of Disk Cleanup tool to delete Windows.old folder. Step 1: Right-click on your system drive (Windows 7 drive) and select Properties. Step 2: In the properties box, click Disk cleanup button to see the Disk cleanup dialog. Step 3: If you can’t see Previous Windows Installations under Files to delete list, click Cleanup system files button to see Previous Windows Installations entry in the files to delete list. Step 4: Check the box next to Previous Windows Installations and hit OK button to start deleting the Windows.old folder. Good luck! i cant see the “previous intallation or old.window” option but i have a folder named as old.window. so tell me how can i delete .. But how to pertition my drive? HELP! “PREVIOUS WINDOWS INSTALLATIONS” DON’T APPEAR ON MY DISK CLEANUP,but a huge chunk of my hard drive is consumed. i just installed windows 7 over xp on a single partition on a old hard drive. author dude, nice work there. ive been viciously searching the web for the solution to some windows 7 issues with no luk. Thank you so much. I thought it was a silly ownership problem, despite me being the admin on my computer. I’ve been trying to do this for over an hour, and now its gone. thanks!